Explore the best that Perth has to offer for fine dining options and premium restaurants. 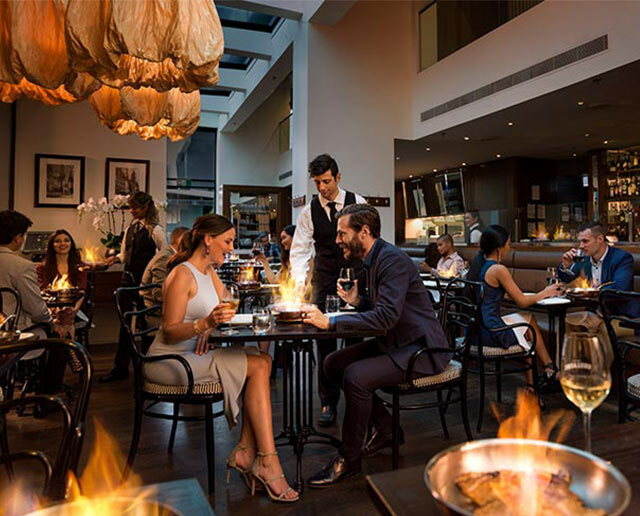 Crown Perth is home to world class dining and some of the best restaurants in Perth. Inspired by France's most popular neighbourhood bistros, Bistro Guillaume Perth elevates the dining experience for a modern international audience. Modo Mio Perth offers authentic Italian cuisine that celebrates the heart of Italian culture, where food and family are central to everyday life. Beef is the showcase at Neil Perry’s award-winning restaurant. Rockpool Bar & Grill Perth is so much more than a steakhouse. Acclaimed Chef Sean Marco brings over two decades of global experience to his newly appointed role as Executive Chef of Perth’s newest and most luxurious hotel, Crown Towers Perth. Bijl is thrilled to be leading a first-class team producing the remarkable array of stunning cuisine on offer at Atrium. One of Australia’s most popular and acclaimed chefs, Guillaume Brahimi brings his sensational culinary creations to Bistro Guillaume at Crown Perth. Crown Perth is proud to introduce Nobu’s highly talented and influential Head Chef - Nobuyuki Matsuhisa, known to the world as “Nobu”. Neil Perry brings his Rockpool brand to Crown Perth - where the best available produce is turned into the greatest dining experience. Spoil mum to a special Mother's Day at Crown. With delicious dining options for Lunch and Dinner, there's something for every taste. Coming to watch a show at Crown Perth? Find out more about our pre and post show dining options available at one of our many restaurants.